She needed the money. That was the long and short of it. Land of opportunity… maybe. But opportunities cost money, and she was living out of a suitcase, and eating her last few dollars. When she left home, those meager savings seemed like a fortune. Now—two weeks into New York City—she could see they wouldn’t last. She wouldn’t last. No education. No references. Her only choices were the clubs or the factories, and the factories would take weeks to send her the first paycheck, so she went to the clubs. She walked in off the street at noon, and waited until an unkempt and onion-smelling man came out of a back office. “I want a job,” she said. The oniony man inspected her like she was a tomato or a head of lettuce… or… an onion. She took a step backward. “A job,” she said, forcing confidence into the words. She glanced toward the stage. Toward the bare bulb spotlight, and the over-sized speakers, and she couldn’t think of the English word. “How old are you, anyway?” the man asked. She relaxed. At least she knew that. Not that she’d done the math, herself, but she knew the answer he wanted to hear. “Tuesday.” Good enough. She could pay for her next meal. Eat, maybe. She relaxed. When Tuesday came, she stood in the back of a bunch of girls who crowded around the only mirror. She couldn’t see the mirror, most of the time, but she knew how to put on lipstick without it. She didn’t need a mirror. And then, a woman with a tattoo of a lotus pushed the other women out of the way. Sugar nodded, but somehow, that seemed tougher than it had, when she was still looking for a job. After a while, she was just there, just dancing. The music pounded around her and she couldn’t hear the half-obscene demands from the half-drunk audience. The lights were bright, and she couldn’t see the men’s eyes. And why should she care? Not like those rich men were ever going to have anything to do with something like her. Not really. She might as well take their money. What did she care? At the end of the night, she’d go home. She’d never see any of them outside the club. None of them had ever known anyone she knew. There was no risk of them running into her family. She peeled the layers away. The blouse she’d chosen for the low neckline and the cheap fabric, the skirt that shimmied down over her thighs and onto the floor. The fishnet tights—a little beat up… She’d heard they liked that. They liked believing they were treating a girl just a little better than the last guy. She peeled and peeled, and when she got to her underwear—tacky, tacky things… she kept going. She kept going, until she felt the breeze from the fans on her exoskeleton, and the vibration of the drums shaking the antennae she’d had to keep pinned back for two weeks. She’d been hearing her new world though cotton, seeing it through welder’s glass. And now, she was free. She reached toward the music with her antennae, and for a second, she forgot to dance. She forgot to breathe. She could see a thousand tiny refractions of the club… the grimy, neon migraine of a club… and it was the most beautiful thing she’d ever seen. Her native, insect-sight restored. So much clearer than the tiny, human-lenses she’d nearly gotten used to. And the club was filthy. She looked down at the bio-suit by her feet… the cloned tissue and polymer supports that had pulled in her extra legs, and disguised her. She’d have to put it back on, she realized. She couldn’t go out in the street naked, with her pincers showing. They’d never stand for it. At the end of the night, she’d have to go back to passing for one of them. A sudden panic welled up somewhere between her third and seventh hearts, and she grabbed at the suit. Could a bio-suit get diseases? Probably. An autoclave could probably get diseases, if someone left it lying on a floor like that. She rubbed at a sticky stain, somewhere near the suit’s perfect, human-imitation navel. She’d have to dust the thing with antibiotics, when she got home. 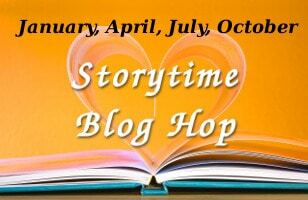 Be sure you visit the rest of the writers in our little blog hop. This was GREAT! Not what I expected. Very well done and I enjoyed the story! Oh my god, I loved this! I was so into the story and cared so much for the girl that I forgot about my usual alertness and suspicion. Great stuff! What a great read. You might want to add a little more detail to the beginning so we can see better where she’s at, but this was absolutely stunning. LOL, you got me. Unexpected. Well done. Talk about taking a left turn. Great job! Yes! This was fantastic! I loved it.